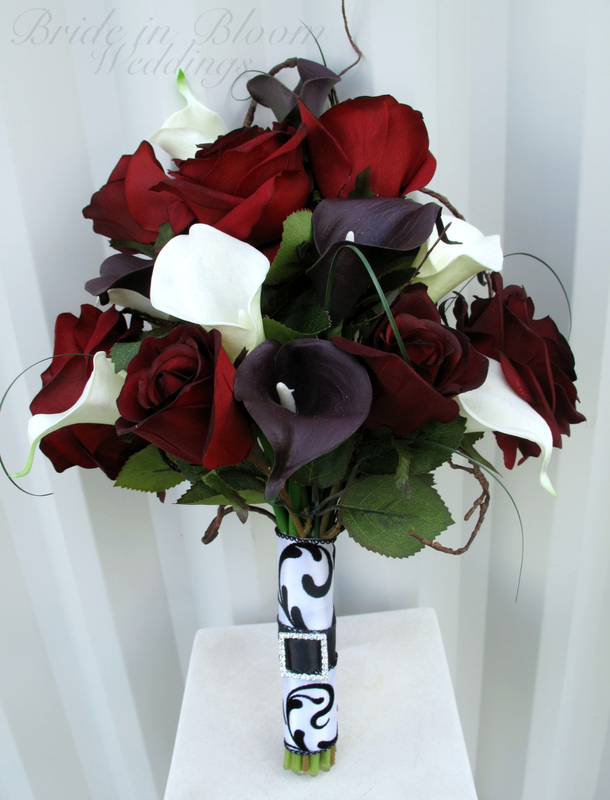 This calla bridal bouquet is an elegant presentation style wedding bouquet. 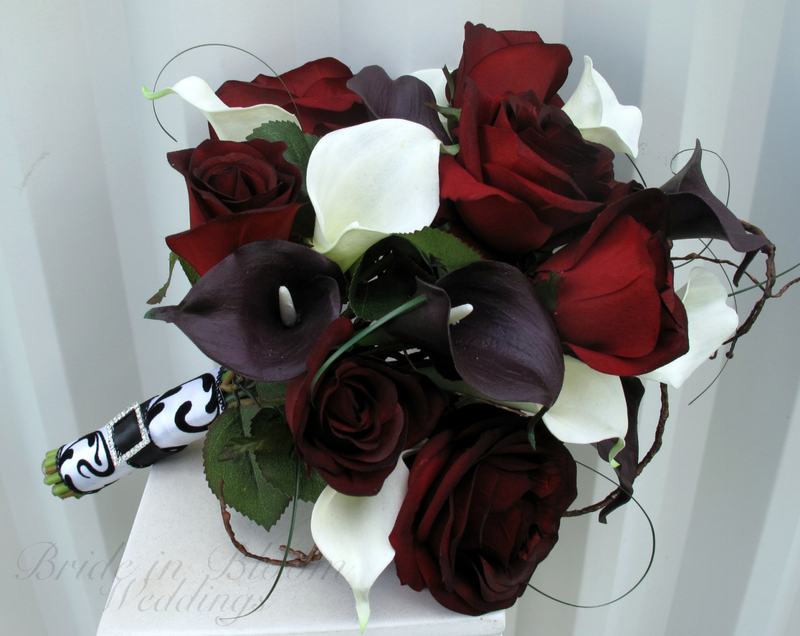 The callas lilies are soft to touch and look so real, you are sure to love them. 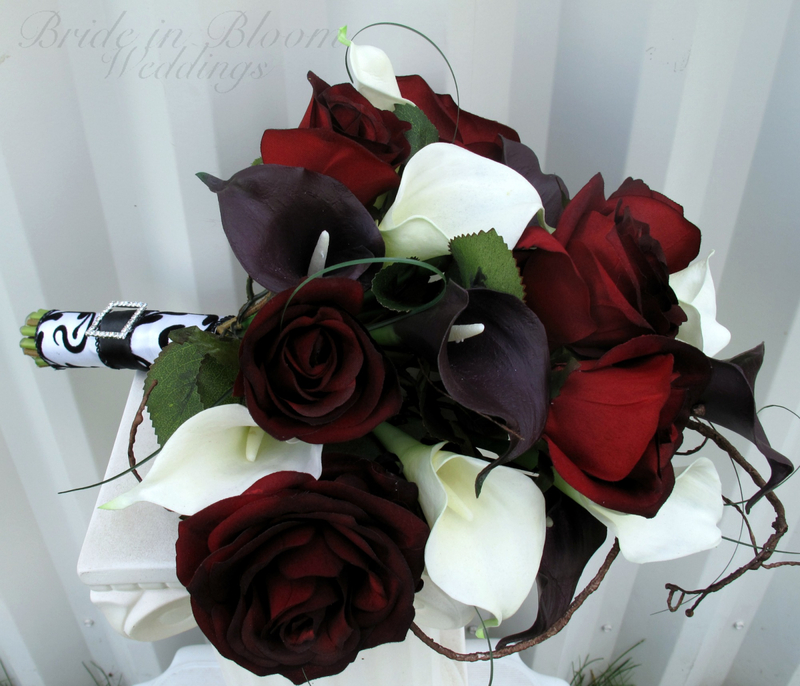 There are 12 dark plum purple & white mini calla lilies in this bouquet, 7 black baccara red velvet touch roses, added bear grass, and willow to make this a classy presentation ( one sided ) bouquet. Each lily bloom measures 2" by 3". 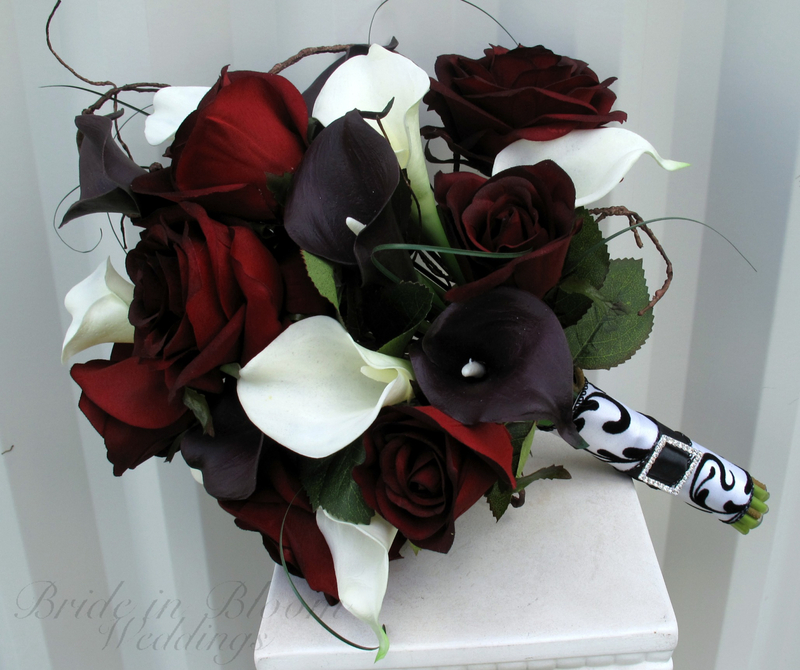 Handle treatment is wrapped with velvet damask ribbon & a black satin sash, completed with a sparkling rhinestone buckle. Bouquet measures 10" ( 25 cm ) wide x 14" ( 36 cm ) tall.